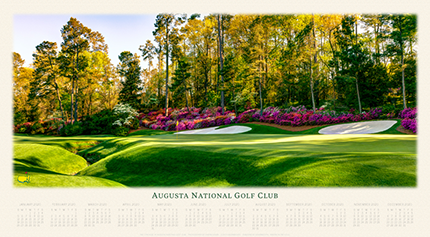 The 13th Hole is lined by nearly 500 yards of blooming Azaleas and towering Pines. 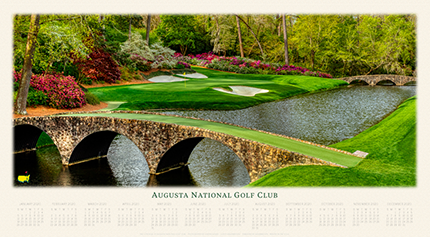 This image captures the breathtaking scene of the all important accurate approach into the Green with the creek in the front and large bunkers surrounding the outside. 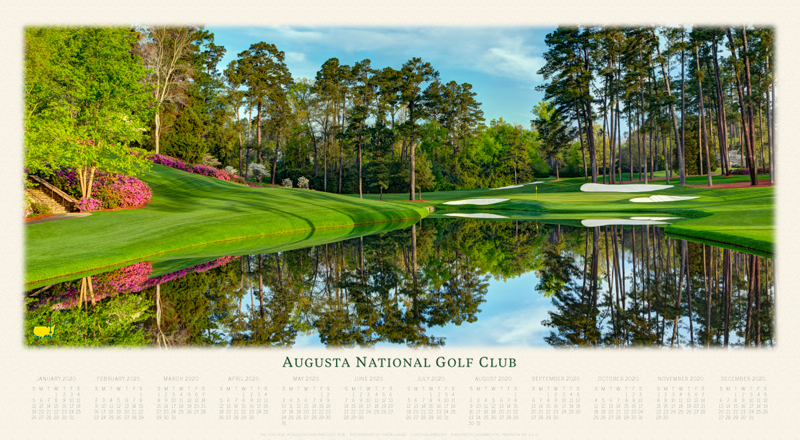 2019 Full Year Panorama Calendar printed on gloss paper, 20" x 11", January through December.